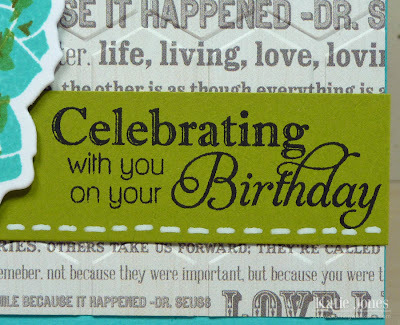 My sweet aunt's birthday is tomorrow, and she definitely deserves a special card! I had fun making this one for her, and I really like how it turned out. 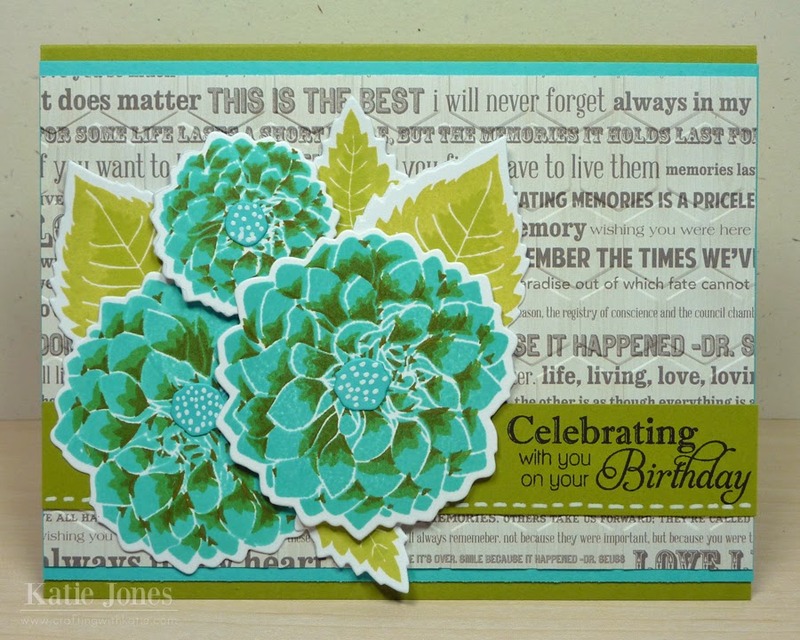 For the background, I used a text pattern from Teresa Collins' Memories collection and ran it through my Vagabond with the Cuttlebug Honeycomb embossing folder to give it some texture. So that my sentiment would not get lost amidst all of the text, I cut a strip of chartreuse cardstock the width of my card and stamped the sentiment, from Papertrey Ink's Delightful Dahlia Additions, on one end of it. I added a little "stitching" underneath with a Sakura Glaze Gel Pen. 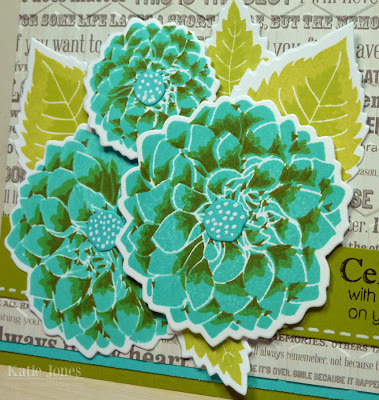 These pretty flowers were made with the Delightful Dahlia dies and stamped with stamps from Delightful Dahlia Additions, using PTI's Ripe Avocado, New Leaf, and Hawaiian Shores inks. 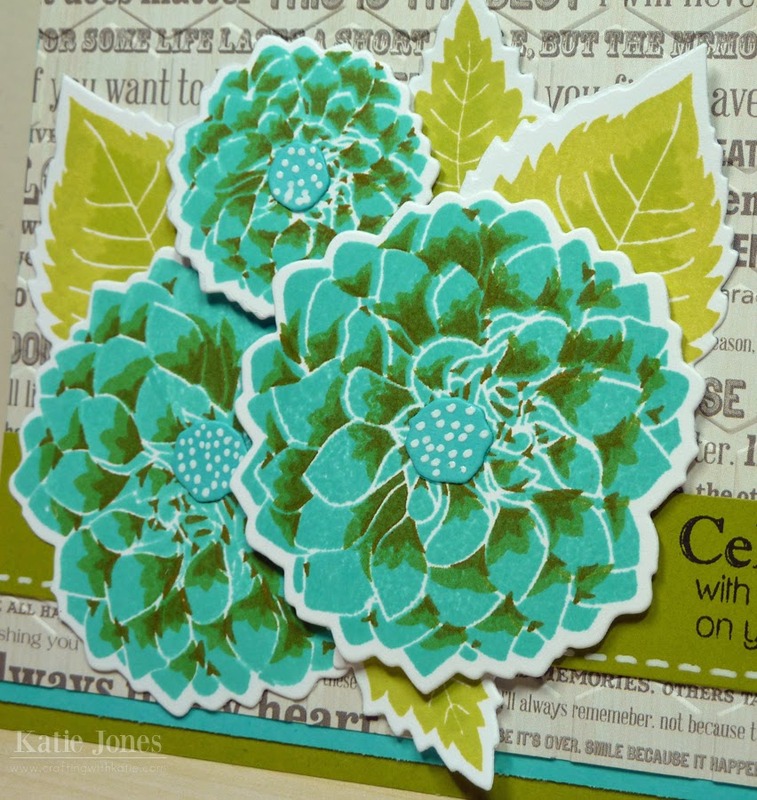 The little center sections were made with dies from PTI's Birds & Blooms, using Hawaiian Shores cardstock. I added some polka dots with the Sakura Glaze Gel Pen. Hopefully Auntie Momo likes her card! I love your card and the flower is amazing! Great color choices! Wow! Beautiful card! Very colorful...I like the colors. Katie ~ GORGEOUS! Simply GORGEOUS! I LOVE the colors you chose ~ so happy and bright! I bet your Aunt will LOVE her card! 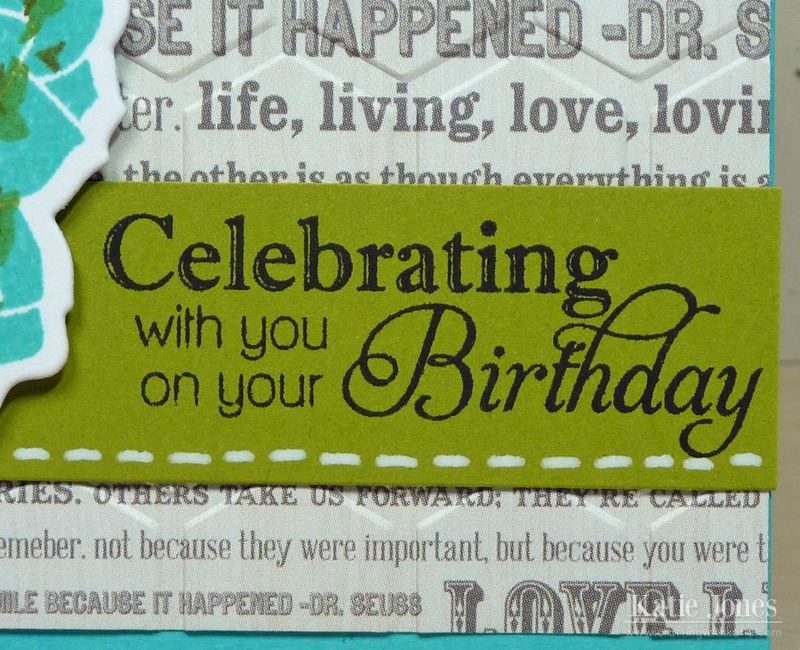 Then who would have thought to use that paper (which I have but never even knew it was in that pack) and emboss it! BEAUTIFULLY done!